perhaps some homemade fortune cookies from fork & beans? Takeout is always a last resort for me. There is place in DC that is pretty reliably. We tried somewhere else a few weeks ago, and my partner bit into his vegetable dumplings to find they were pork! My favorite Asian dish is pho! Where in DC do you typically go - I am down that way at least a few times a year to see my sister and am always looking for new eats in that area! 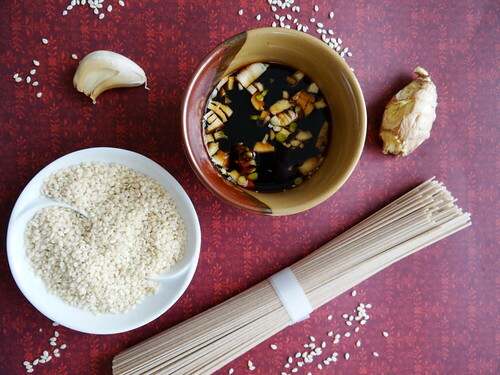 I have always been curious about Pho - this is on my list of must try! Yes we will all swoon over my beautiful carrot ribbons :) Wait not everyone obssesses over beautiful veggies and carrot ribbons? 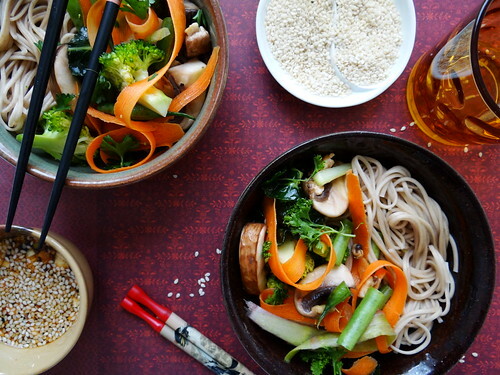 Oh, I just love Asian noodle bowls...and yours with all the vivid colors both looks and sounds fantastic! What a pretty looking bowl of food! 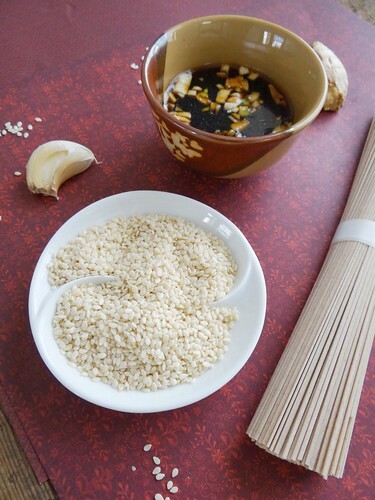 I'm always leery of eating things like dumplings or samosas where you can't really identify what the filling is made of...or asian style soups and noodle dishes that might contain bits of meat or fish sauce. 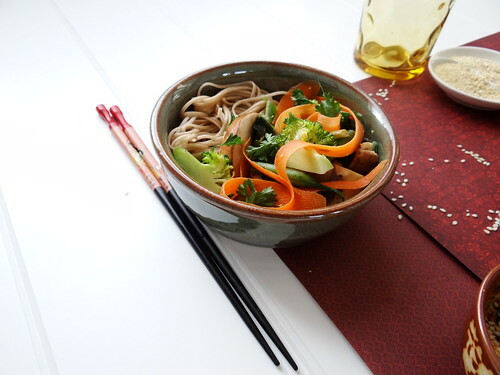 As for my favourite homemade take-out dish, it would probably be peanut noodles or homemade pizza! Love homemade pizza- every Friday night is Pizza or Calzone night; calzones tonight and I am so very excited! 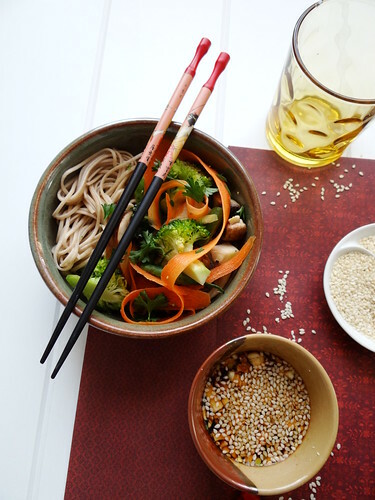 This soba noodle bowl was so good- I could eat this type of meal everyday! I love meals like these too! So fresh and simple, you can't beat it! Lately, I've been making a ton of homemade pad thai - takeout just doesn't compare at all anymore! 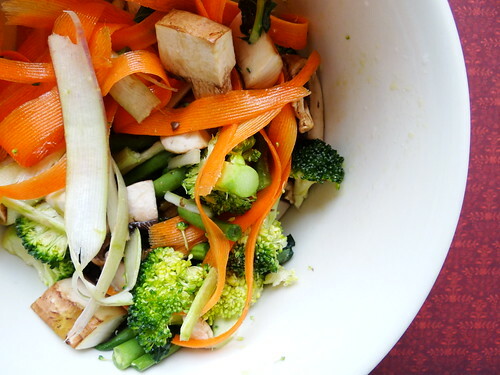 Chinese recipes always brings out the best in veggies and this is no different. I do not do the takeout thing-I agree homemade is a much better way to go. Your picture here is very tempting-I am ready for a noodle bowl now-yum! Have a great weekend. I agree - they have a way of making veggie shine in recipes; have a wonderful weekend too Tina! I never thought of this to be exotic- thanks :)!! I can't say I have ever had 2 minute noodles- unless they are like the ramen noodles, then yes I had my fair share as a teenager! Thank you so much uru! You know, I was just in a grocery store with a pretty big International foods section and I actually picked up soba noodles wishing I knew something to do with them so I could by them. I don't have much experience making International inspired dishes. This sounds delicious and right up my alley. I don't eat meat and my husband does, so I'm always looking for dishes sans meat I know he'd love too. This sounds great! 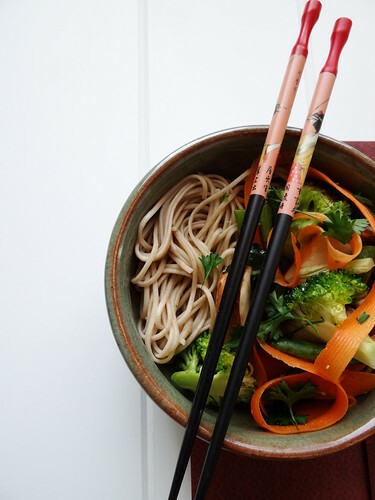 I LOVE Soba noodles; about a year ago or so I did the same thing you did, just randomly picked up a pack. Since then I have been addicted to them - i hope you and your husband enjoy the recipe! 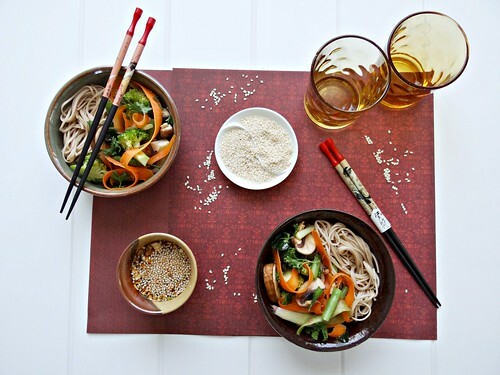 love those bowls and the pictures!.. makes this beautiful yummyliciousness even more gorgeous. 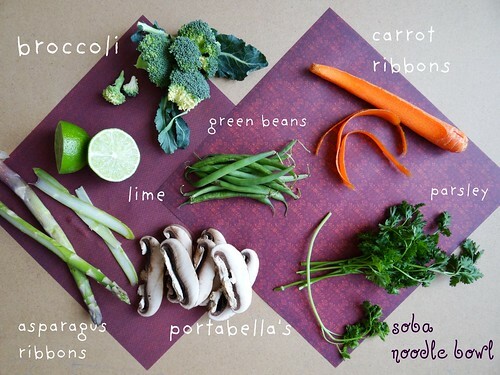 i love the ribbons and the veggies. i want some of this tonite! Looks so delicious! I'm only slightly embarrassed to admit that I absolutely love cheap, greasy, Chinese takeout. This would definitely be much better for me, and more satisfying, I'm sure. I can't wait to make this. The photos are beautiful, love that you used ribbons of vegetables, too! I LOVE Carrot ribbons, they are my absolute fave! 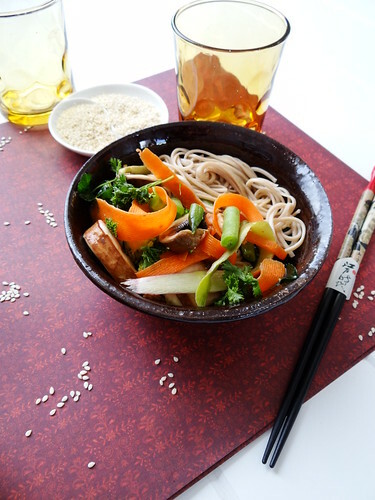 I just love this beautiful and healthy soba noodle bowl! Stunning photos as well. This is my first time visiting, but you have a beautiful blog here. Just signed up to follow. 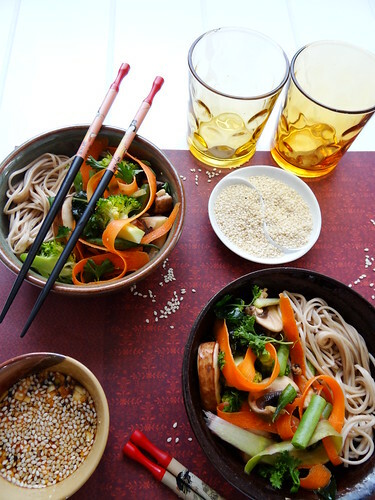 Definitely a feel-good meal...cold soba salad is so refreshing! Think I should start including more veggies in my diet! Beautiful photos as always! This is definitely a guilt free meal; even if you do go back for seconds!